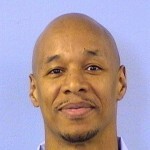 In 1994, Patrick Pursley was wrongfully convicted of murder in an apparent robbery. Despite irrefutable evidence the gun does not match the suspected murder weapon. On April 2, 1993, at approximately 10 p.m., Andrew Asher and his girlfriend, Becky George, were seated in a parked car in front of George’s brother’s apartment in Rockford. As they were talking, a man approached the driver’s door, where Asher was seated, and pulled it open. The man pointed a gun at Asher and George and said, “This is a stickup, hand me your money.” George grabbed about $60 from her purse and leaned over to put it on Asher’s lap, and Asher reached into his pocket for his wallet. George testified that she held the money in her hand stretched out toward the robber, but that he did not take it. She began to look for more money in her purse when she heard two “noises that were like pops.” She turned toward Asher and saw him slouch down. Then, George stated that the robber turned toward the east and ran. George looked at Asher and noticed that he had been shot, so she ran to her brother’s apartment and called the police. The Rockford police did not find any suspects in the area, but did find a spent bullet in the car. Additionally, the county coroner recovered a bullet from Asher’s shoulder.A forensic scientist examined the bullets and determined them to be of 9 millimeter caliber fired from the same firearm. George told the police that the man was wearing dark clothing and that she vividly remembered the man was wearing a blue ski mask with a hood over the mask. She also said that she saw black skin around the eyes. On June 8, 1993, Marvin Windham called Crimestoppers about Asher’s murder. Windham testified that he visited Pursley early in April 1993, at which time Pursley showed him a newspaper clipping about the murder and told Windham how he had robbed Asher and George and then killed Asher. On cross-examination, Windham stated that he had received a total of $2,650 in reward money for his information. Additionally, Windham said that the reason he waited two months after learning Pursley was the murderer before calling Crimestoppers was because Pursley did not threaten him until June 1993. Windham also admitted that he had two criminal charges currently pending against him.In 1994. Pursley was convicted of murder, based primarily on unreliable key witness testimony, jailhouse informants, and faulty forensic science. On January 26, 2011, Jenner & Block achieved a groundbreaking result in a pro bono post-conviction matter on behalf of Patrick Pursley in the Illinois Second District Court of Appeals. The decision in State of Illinois v. Pursley sets precedent in Illinois in granting ballistics testing for the first time under the post-conviction testing statute, which had been changed in 2007. The Firm’s client had sought the testing ever since his conviction for first-degree murder during the course of an attempted robbery in 1993. Here’s an article about Patrick’s case.